The Pepper People offer a variety of dried herbs and spices including no-salt blends. 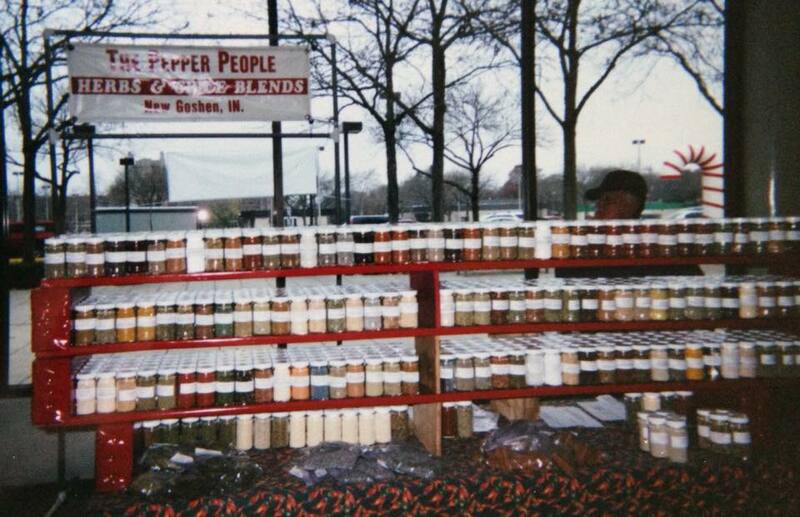 The Pepper People business was originally started by Clarence Roush and Marty Mertens in New Goshen, Indiana over 20 years ago. Clarence and Marty loved spices and gardening. Clarence and Marty traveled the mid-west attending many festivals and fairs selling their products and spreading their love for cooking with herbs and spices. Today grandson, Rob Roush of West Terre Haute, continues the family tradition of selling high quality spices. Don't be fooled, The Pepper People are not associated with any companies located in Terre Haute. On-Line Store is available. If preferred, you can call, text, email, mail, or message your order. We ship anywhere in the US. Mail order: Mail the order form(spice list) along with a check including shipping. We ship USPS Priority Mail. Free shipping for orders over $100. We accept cash, check, credit and PayPal.